First flown on 18th December 1968, 53-698 was delivered to Jeddah in June 1969 and served with 2 Squadron, the LCU and 13 Squadron, finishing her career with 2 Squadron once more and coded '219'. 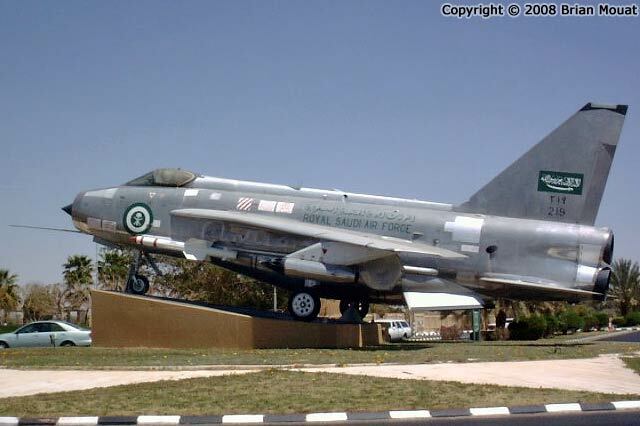 Retired in 1984, she was put on display at Tabuk as you can see, and carries both Firestreaks and underwing rocket pods. Since this photo was taken she appears to have moved from the roundabout where she was originally on display; satellite views show a Lightning now on the gate at the King Faisal air base in Tabuk, confirmation of whether that one is 53-698 would be welcome from anybody who can help!